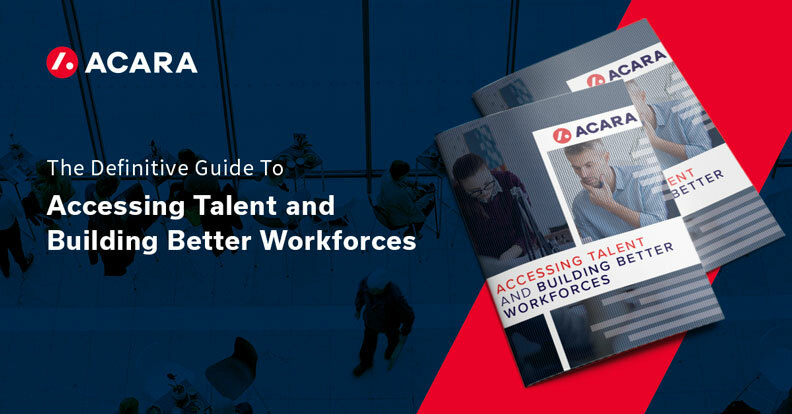 The Guide to Accessing Talent and Building Better Workforces - Acara Solutions, Inc.
Strategic partners boost productivity and savings. Recruiting the best talent is critical to success. That’s why so many organizations—regardless of their size, scope, or industry—invest heavily in candidate engagement practices. And since unemployment is at its lowest point since 2008, there aren’t as many skilled workers around. As such, HR departments may need a hand recruiting highly specialized labor in such a competitive environment.